Sprint announced on Thursday that it activated 1.5 million iPhones in the third quarter of 2012, the same number it has maintained for three straight quarters. About 40 percent of the 1.5 million iPhones sold were to new customers, the third-largest carrier in the U.S. announced on Thursday. 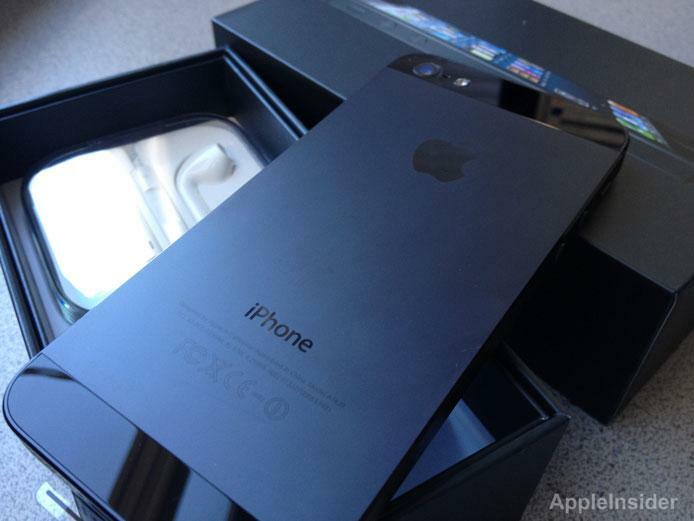 No sales figures for the iPhone 5, which launched with just a week left in the quarter, were provided, but Sprint did say it surpassed 1 million LTE smartphones prior to the launch of Apple's latest handset. Sprint saw its wireless service revenue grow 14 percent year over year, as it added nearly 900,000 to its platform. The carrier's postpaid average revenue per unit also grew 5 percent year over year. But Sprint also posted an operating loss of $231 million and a net loss of $767 million on revenues of nearly $7.3 billion during the quarter. "The Sprint platform performed well, with strong net subscriber additions, record third quarter postpaid and prepaid churn and robust revenue growth, contributing to Adjusted OIBDA of $1.28 billion even as we continue to invest in Network Vision and position the company for future growth," said Dan Hesse, Sprint CEO. "As a result, we believe we will slightly exceed the top of the range of our recently increased Adjusted OIBDA forecast." Sprint's iPhone sales have been consistent throughout 2012, as the carrier activated 1.5 million units in the June quarter, as well as the March quarter that kicked off the year. About 44 percent of iPhone activations went to new customers in the first quarter of the year, while 40 percent were to new customers in the second quarter. Sprint's iPhone activations for the quarter compare to 6.1 million at AT&T, where Apple's handset accounted for 77 percent of the carrier's 6.1 million total smartphone activations. And Verizon announced last week that it activated 3.1 million iPhones in the September quarter, with 650,000 of those being the new iPhone 5. It's been a big week for Sprint where Apple is concerned, as the carrier will now have access to Apple's iPad mini and fourth-generation iPad. Previously, the cellular-capable models of iPad were only compatible with AT&T and Verizon's networks in the U.S.